"Olympic Coach is a publication of the United States Olympic Committee Sport Performance Division/Coaching Education Department." If you've not seen USOC's free magazine for high performances coaches, check it out. 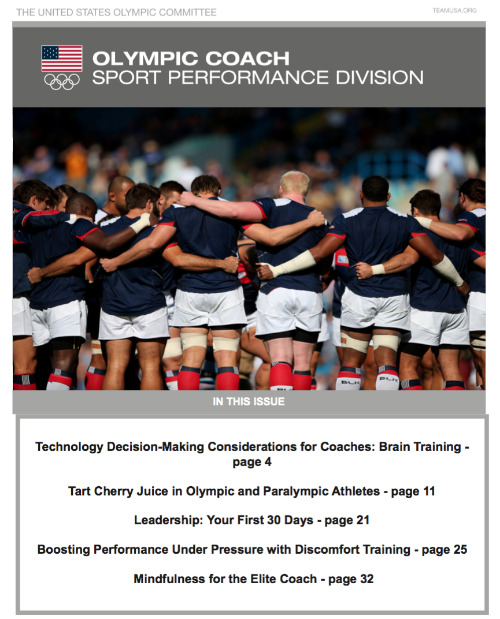 Many good articles in the back issues on topics relevant to coaches.